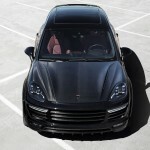 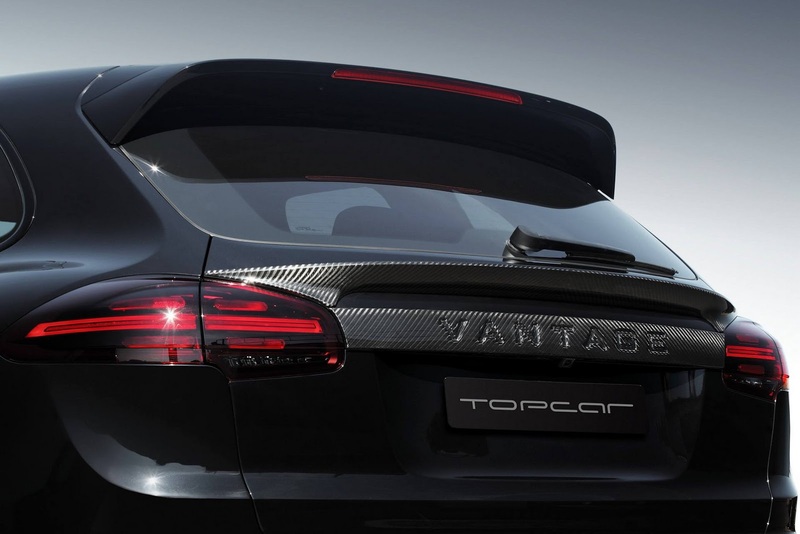 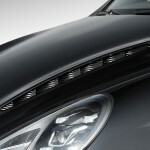 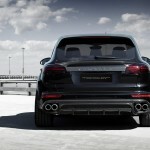 The Russian based TopCar tuning shop first released some teaser shots with their heavily customized 2015 Porsche Cayenne SUV back in March and now the guys are back with their complete work. 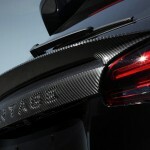 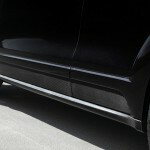 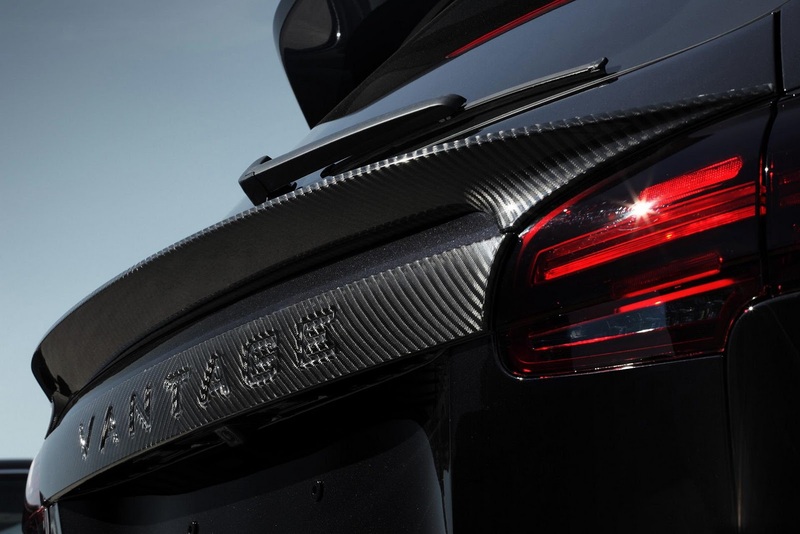 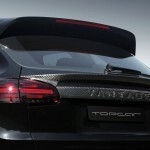 The pictures below expose Vantage aero kit, which is a mixture of Kevlar and carbon fiber components. 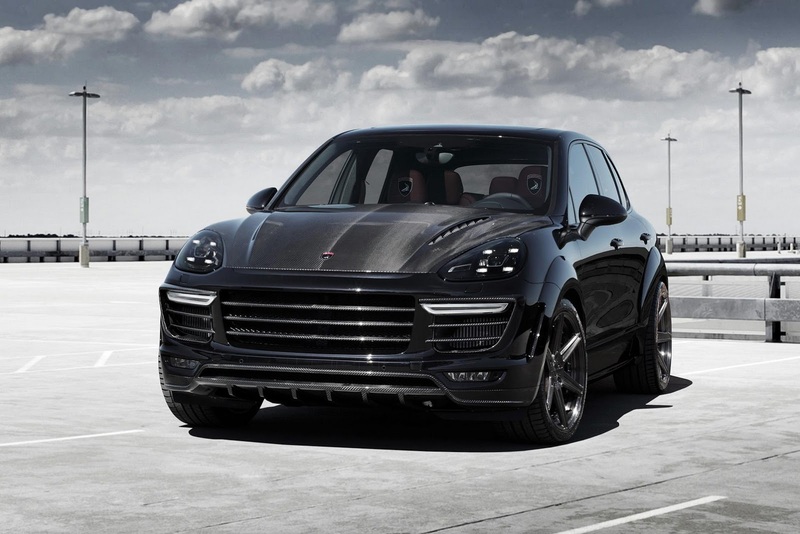 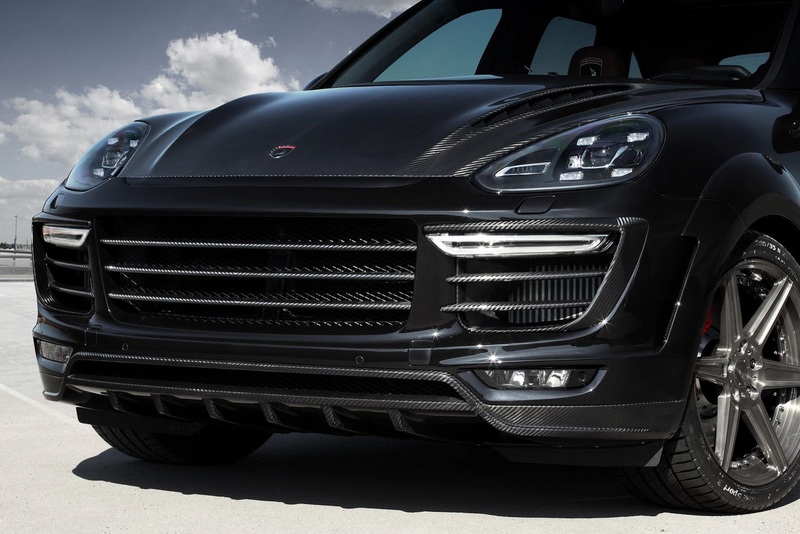 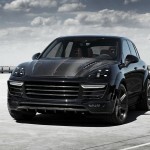 For a trained eye, one might say that the array of carbon fiber parts might be too much for the 2015 Porsche Cayenne SUV, but from a personal perspective, this is the way Porsche should have built the Cayenne: bigger, more imposing and aggressive. 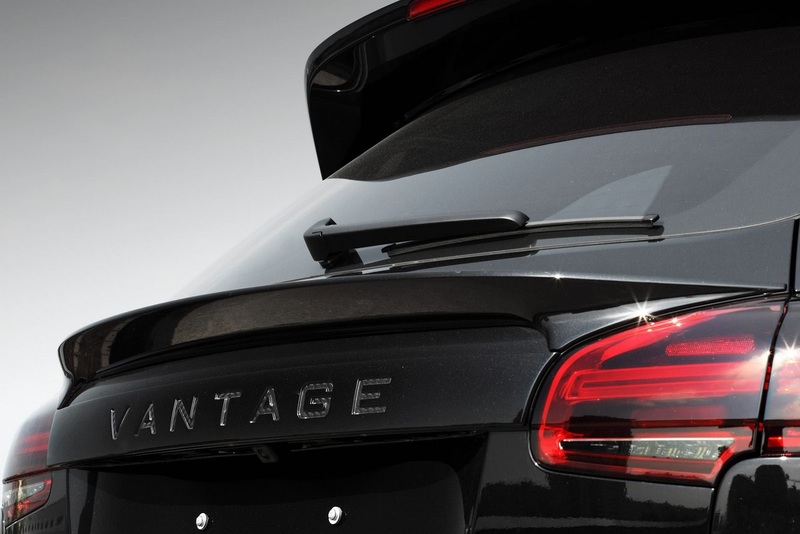 We can distinguish the standout body parts, like the new front and rear bumpers, door pads, wide front and rear fenders with a built-in diffuser, wide rear roof spoiler, door pads, new hood, and the “Vantage” logo sitting under the rear spoiler. 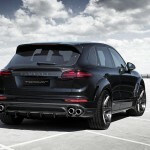 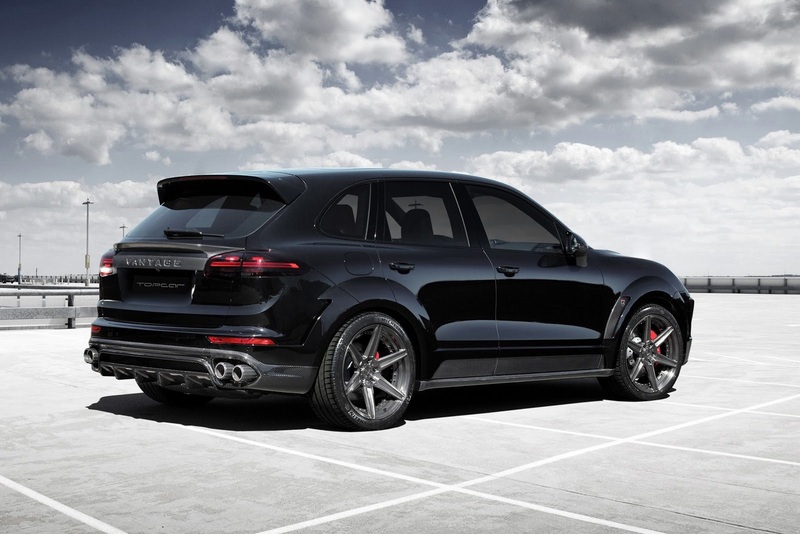 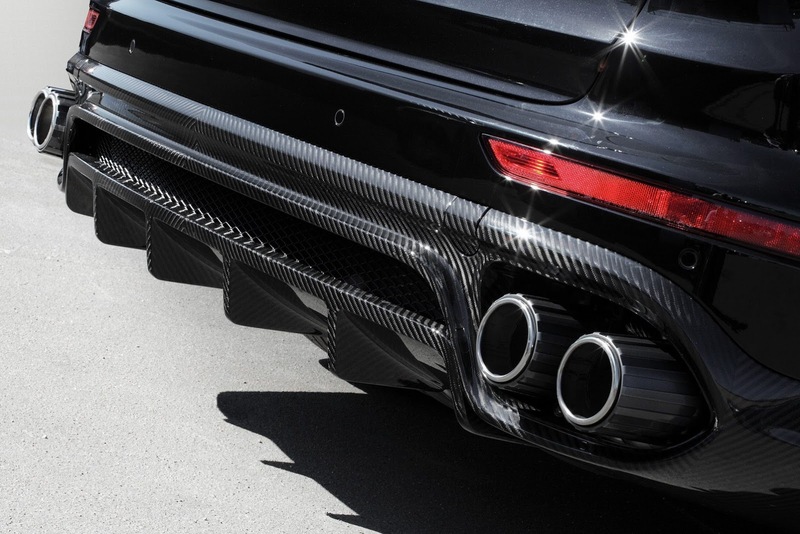 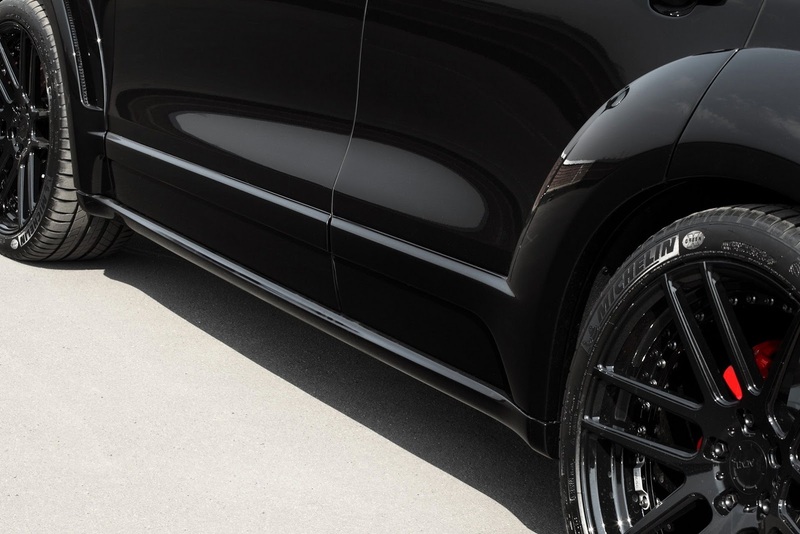 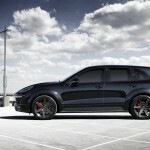 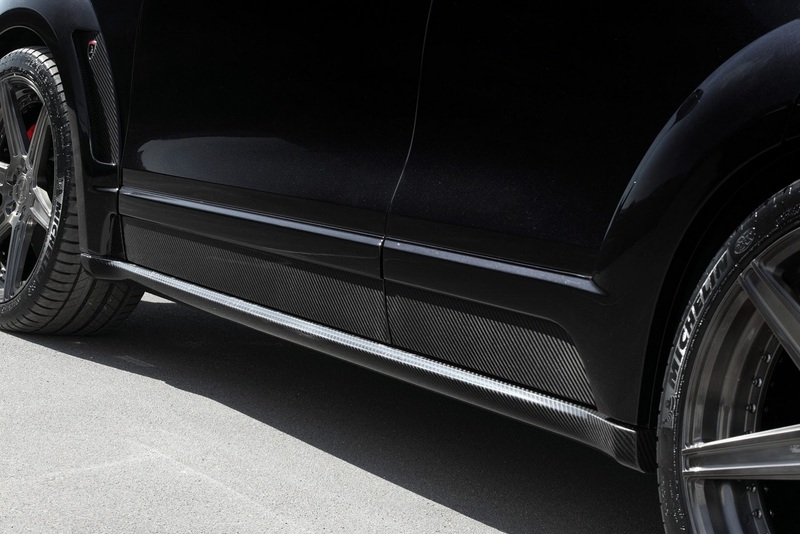 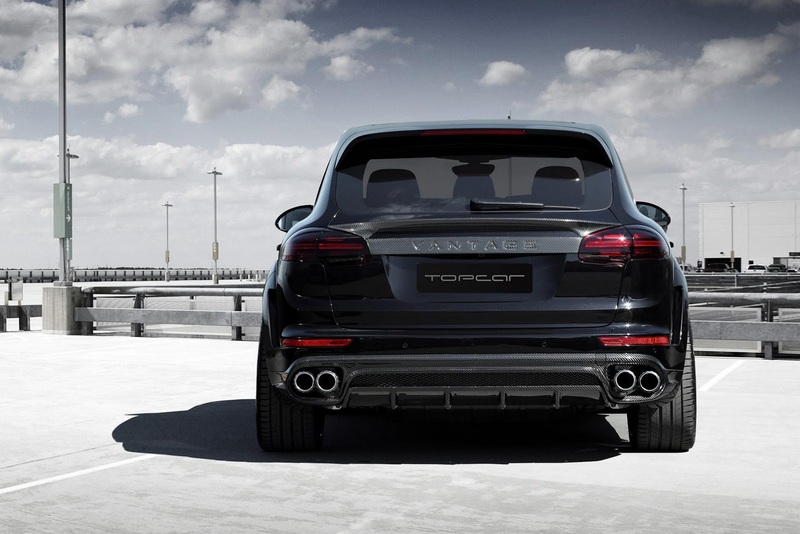 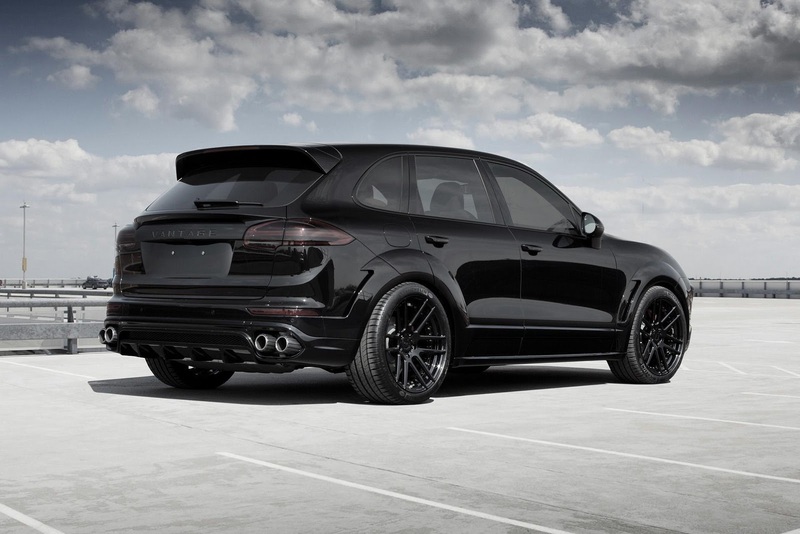 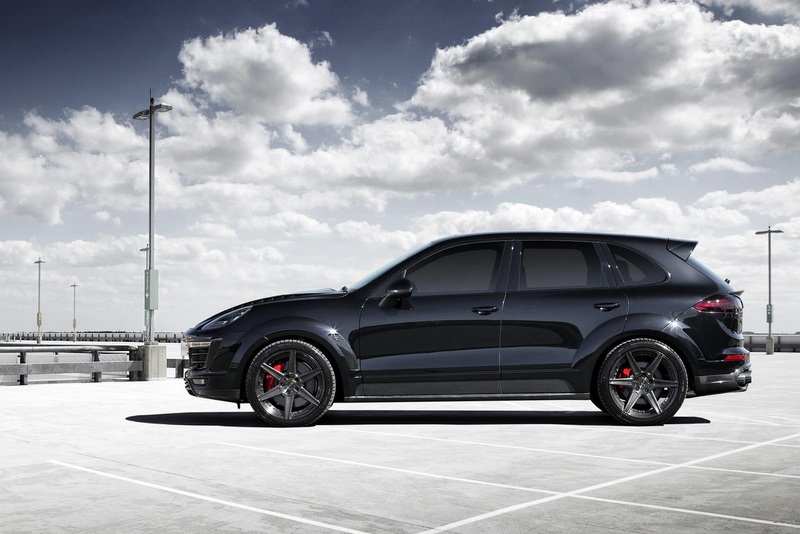 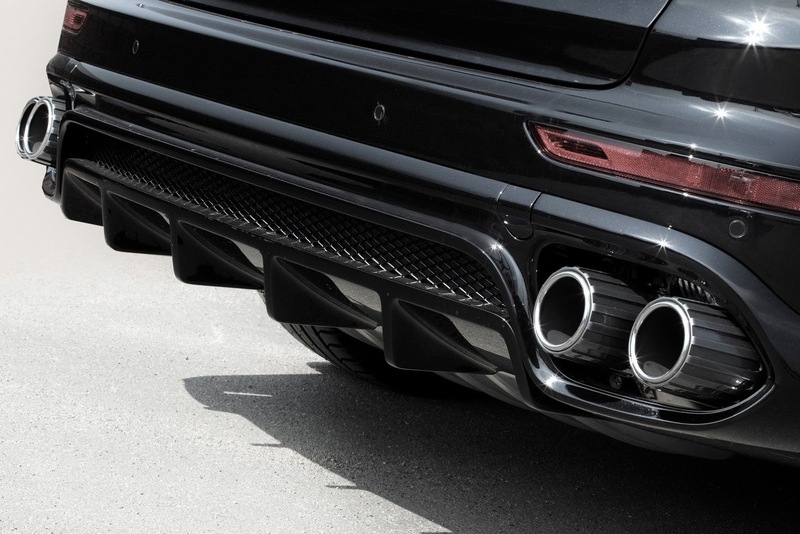 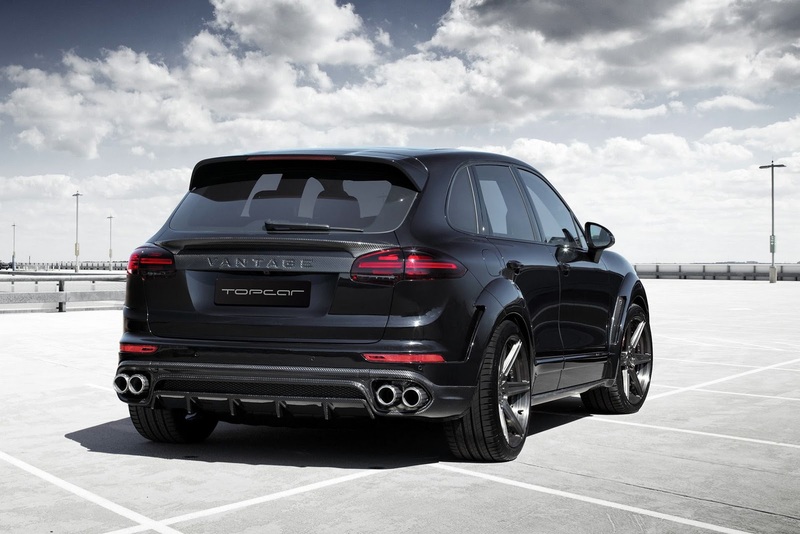 To complement the entire body style and design lines, the aftermarket specialists have also fitted this black 2015 Porsche Cayenne with the insane four-tailpipe exhaust system, as well as the new 21-inch ADV.1 superlight forged wheels, all wrapped with the high-performance Michelin Pilot Sport 3 rubbers. 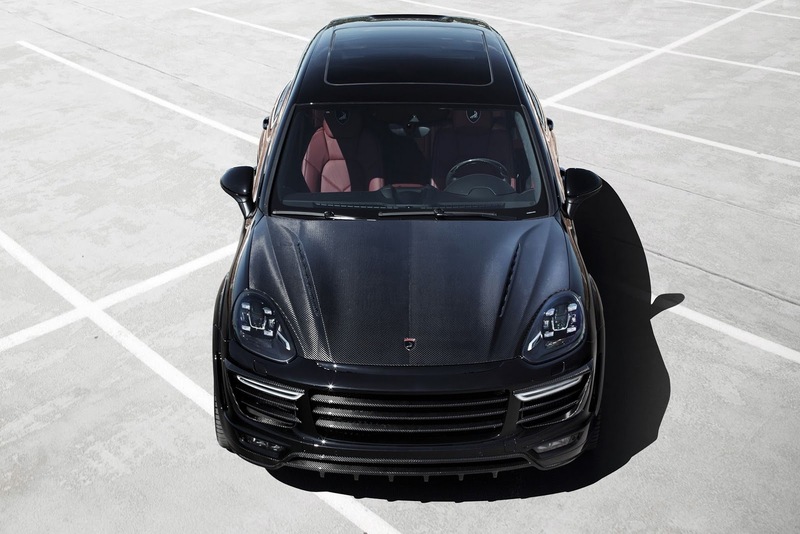 Some slight mods have been also brought inside the cabin, with some styling parts as well as fine materials wrapping the dashboard and the sports seats. 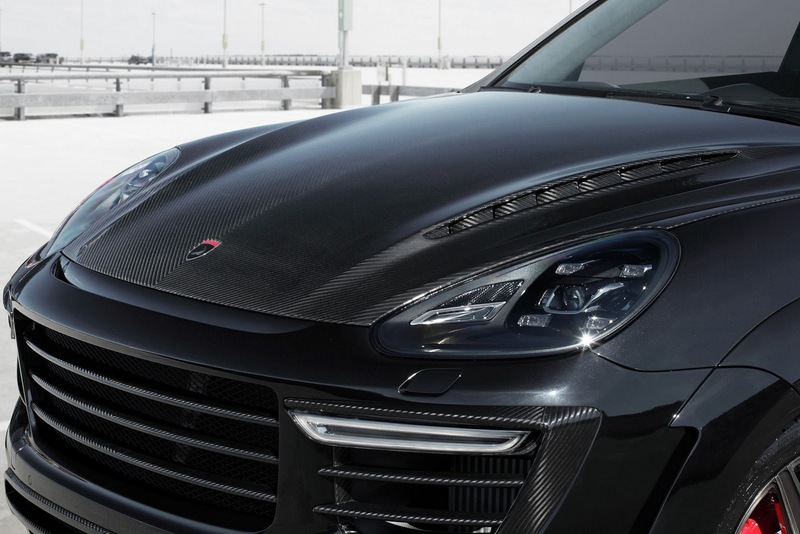 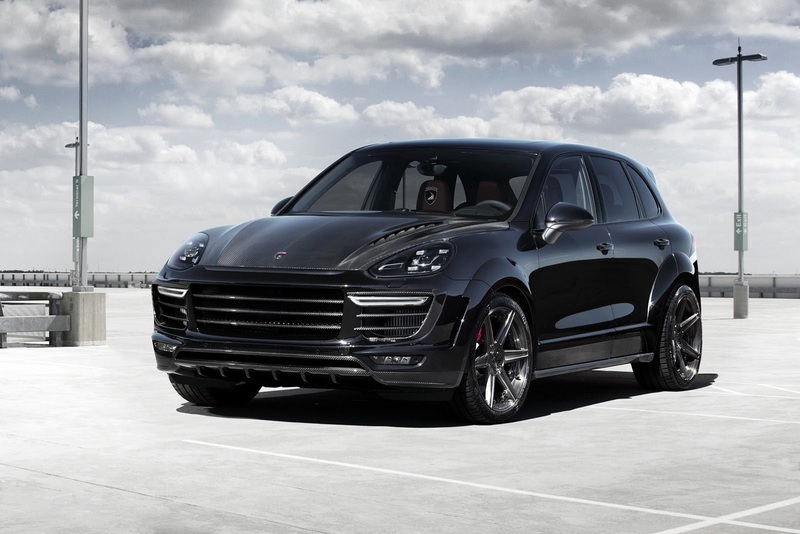 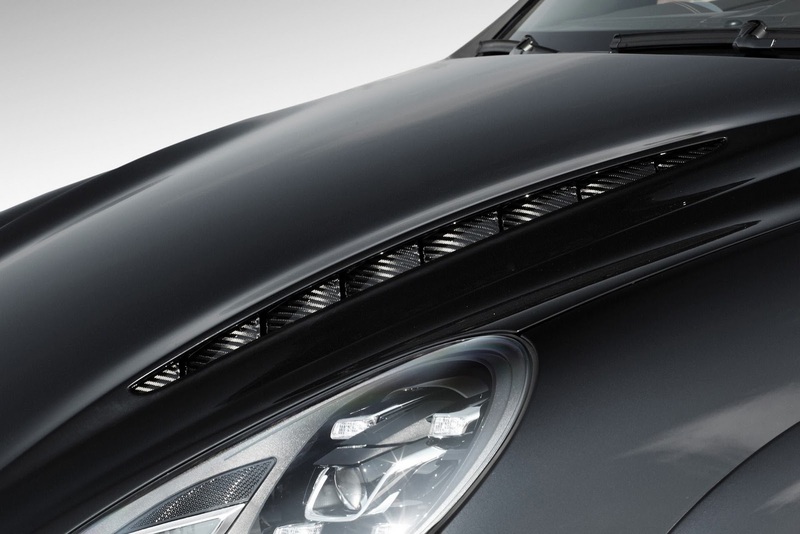 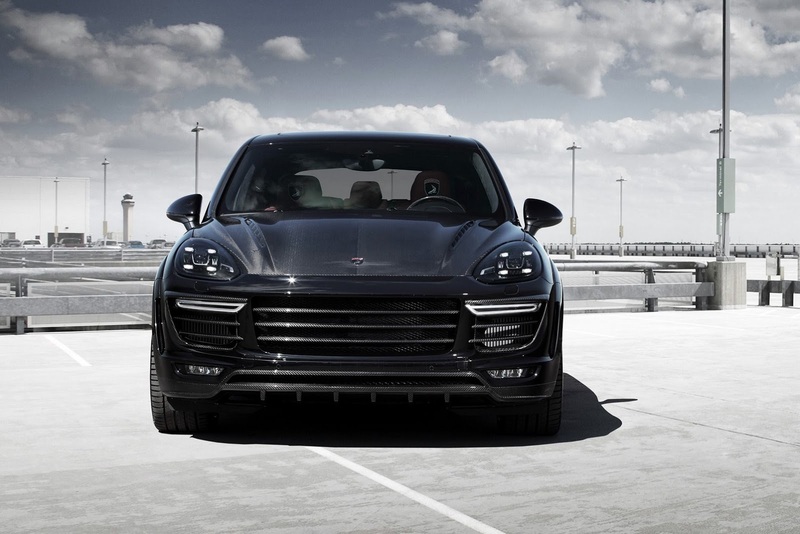 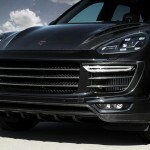 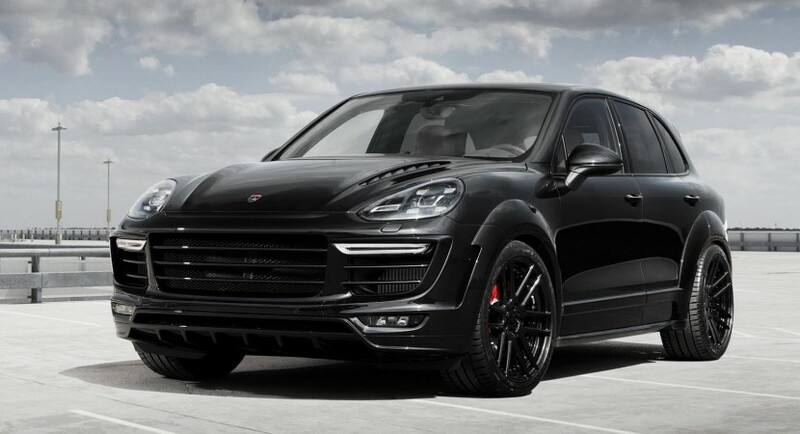 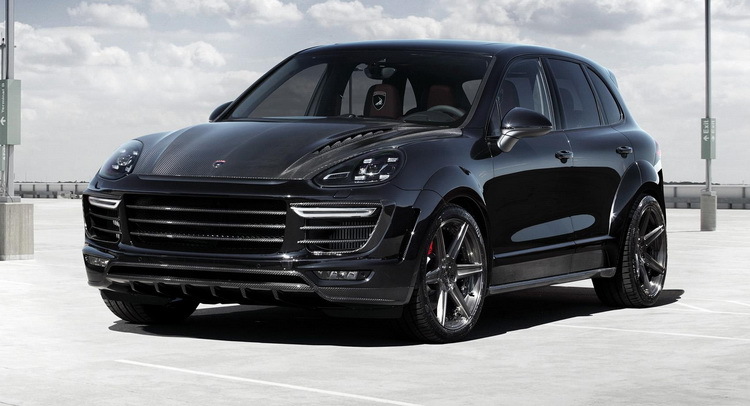 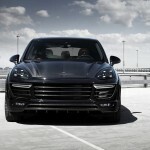 Under the hood, this gorgeous 2015 Porsche Cayenne has not received any power upgrades. 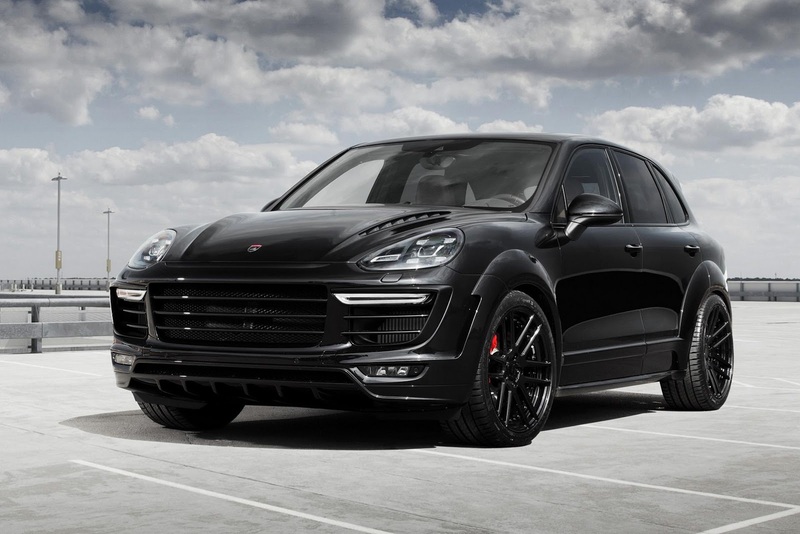 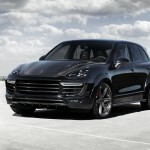 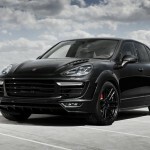 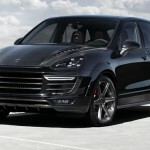 In the base entry-level Cayenne S, the model is packing the new 3.6-liter V6, which has replaced the former 4.8-liter V8 engine, the version now developing a good 420 horsepower and 550 Nm of torque, while the Turbo goes as far as 520 horsepower, for its 4.8-liter V8 unit.